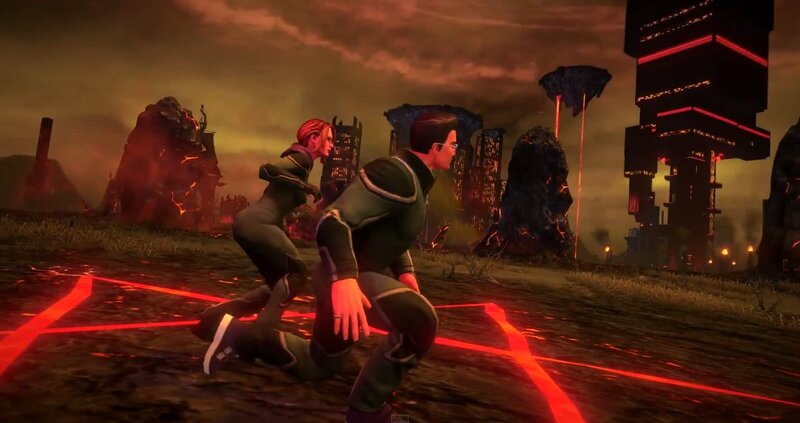 Saints Row 4 developer Volition had two big announcements to share at PAX Prime 2014. They revealed PS4 and Xbox One versions of the game, along with a new expansion pack called Saints Row: Gat Out Of Hell. 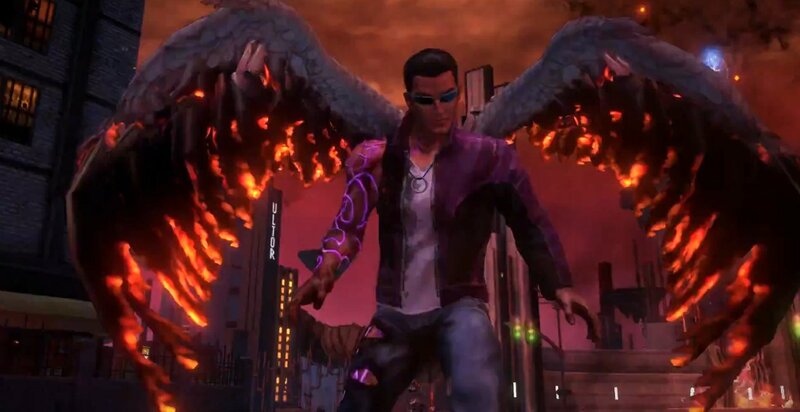 In Saints Row: Gat Out Of Hell, the leader of the Saints was sucked into Hell by a ouija board. It seems Satan wants him to marry his daughter. His motives are less than pure. Long-time Saint Johnny Gat and techie Kinzie follow their leader into Hell to save him. They'll have to fight demons and even Satan himself to pull off the rescue mission. The game can be played solo or with one friend. Fortunately, they'll be armed with more than just standard firearms. The Gat Out Of Hell trailer shows the Johnny riding the Arm Chairmageddon, a recliner with guns mounted on each side. Weapons that fire frogs and locusts can also be found in Hell. The Saints can acquire supernatural powers as well. In a couple scenes from the trailer, Johnny has wings. 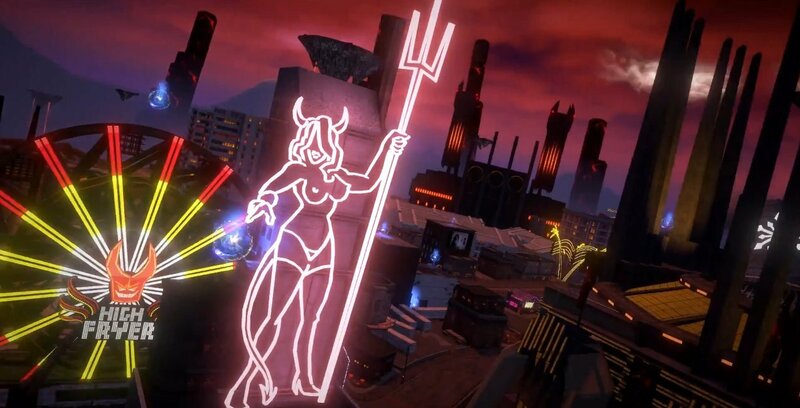 Because it's an expansion, Saints Row: Gat Out Of Hell won't be as massive as Saints Row 4. Hell will be roughly half the size of SR4's Steelport. Gat is a standalone expansion so you won't need to own Saints Row 4. The $19.95 adventure will debut on PS3, PS4, Xbox One, PC, and Xbox 360 on January 27th, 2015. PS4 and Xbox One owners can also opt to buy Gat Out Of Hell along with a port of Saints Row 4. Saints Row 4: Re-Elected will also be released on January 27th. The $29.99 bundle includes SR4, Gat and SR4's previously released DLC. Volition is working with Conduit creators High Voltage Software on the PS4 and Xbox One releases. I'm usually not too keen on PS4 and Xbox One re-releases of last-gen games. They often feel like cynical cash-grabs. Still, the low price of the PS4 and Xbox One versions of SR4 along with all the new content makes these ports seem like respectable offers.